Hematology is a field of medicine that studies symptoms, early detection and treatment of genetic and acquired blood disorders ranging from mild to moderate and to severe life threatening conditions. Most genetic blood disorders are usually detected early in childhood such as hemophilia, sickle cell anemia and thalassemia, just to name a few, and require lifelong treatment and maintenance. Acquired blood disorders such as anemia, certain types of cancers, blood clotting conditions are harder to detect and are usually diagnosed in advanced stages of illnesses when symptoms present are acute enough to be noticed by patients and/or their families or quite incidentally during a routine blood work up before a medical intervention like surgery, for example. As you can see, blood disorders symptoms might resemble a myriad other non-blood disease related conditions that these could be mistaken for, therefore, many blood disorders can go undetected for years. If you experience any of the mentioned above symptoms and suspect potential health problems, it’s crucial you talk to your doctor as soon as possible so a proper diagnosis is made and treatment initiated. Low blood count levels – when your hemoglobin counts are too low, your doctor may suspect anemia, autoimmune blood disorders like HIV/AIDS or certain types of blood cancer. High blood count levels – oppositely from low blood count levels, high red blood cell levels are also abnormal and could be a sign of serious genetic blood disorders, cancers and other conditions. High white blood cells – in this case blood cancers and serious systemic infection is suspected, further testing is required to rule out other conditions and disorders. In addition to regular blood work up, your doctor will prescribe you undergo special blood coagulation testing, MRI or CAT scans to rule out blood clots or other harder to identify blood disorders. 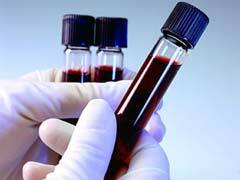 Blood disorders treatments will vary depending on the condition you have. Most genetic blood disorders like hemophilia have no known cures and life-long maintenance, injection of drugs, plasma infusions and wise lifestyle choices are the only treatments available. In cases of blood cancers, more aggressive treatments are prescribed, including chemotherapy and bone marrow transplants. If you are diagnosed with anemia, nutritional modifications and supplementation of iron tablets are great solutions for your type of blood abnormalities. Sickle cell anemia (genetic blood disorder) requires more complex set of treatments such as blood transfusions and pain management therapy since there is no cure for this blood disorder today. Coagulation blood disorders require constant monitoring and medicated approach in order to avoid dangerous complications. Blood thinning therapy and close monitoring is prescribed to patients with thrombosis or known blood clots.